The family, friends and stars of legendary jazz-rock pioneers, Colosseum, came together for one very special evening at O2 Shepherd’s Bush Empire on Saturday 2 February, to celebrate the life and work of Jon Hiseman (June 1944 – June 2018). An inspirational force of energy, Hiseman was not only a truly gifted drummer, but also a lyricist, songwriter and producer. As the founder of the legendary progressive jazz-rock band, Colosseum, musicians and performers Chris Farlowe (vocals), Clem Clempson (guitar), Mark Clarke (bass, vocals), Dave Greenslade (organ, vocals), James Litherland (guitars, vocals), Tony Reeves (bass) and Don Airey (keys) performed Colosseum and JCM classics, spanning more than 40 years. Throughout his career, Jon worked extensively with his wife, saxophonist Barbara Thompson, drumming with her jazz-fusion group, Paraphernalia and together, they composed for film and TV. The National Youth Jazz Orchestra performed with Paraphernalia – Peter Lemer (keys), Billy Thompson (violin) and Dave Ball (bass) – in their honour. Proceeds from the concert will also be donated to The Cure Parkinson’s Trust. Ana Gracey, Jon and Barbara’s daughter, opened the show with her band, featuring Phil Mulford on bass, Peter Lemer on keyboards with Billy Thompson making a guest appearance on violin all from the Paraphernalia family. 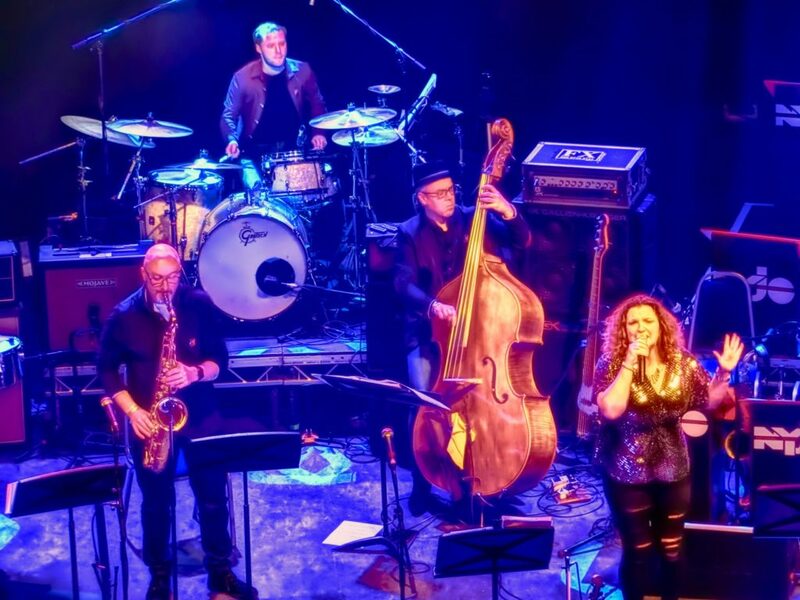 In addition, she had Adrian Revell on sax and a young drummer recently out of Guildhall, Tom Hutch and performing tracks from her new album, Wicked Games, which was launched on the night and will soon be available for purchase. Jon Hiseman worked extensively with his daughter, producing and recording several albums of her songs, amongst them No More Rain which is available for download on iTunes. Over the years, Ana made guest appearances on Paraphernalia and Colosseum albums and joined her parents on stage on many occasions. It is poignant to note that the last time she would do so, was at Shepherd’s Bush Empire in 2015 on Colosseum’s farewell gig, performing a duet with Chris Farlowe of a song she wrote as a teenager entitled Blues to Music which appears on Colosseum’s final album Time On Our Side. Ana Gracey’s new album Wicked Games – a collection of well-known pop songs given a jazz treatment – features her late father, legendary drummer Jon Hiseman, Peter Lemer on keyboards, Phil Mulford on double bass with guest appearances from Colosseum’s Clem Clempson, saxophonists Adrian Revell (Jamiroquai), Paraphernalia’s virtuoso violinist Billy Thompson and BBC Young Musician of the Year finalist Jess Gillam as well as Ana’s mother, saxophonist Barbara Thompson MBE. The album, along with her performance at his tribute concert, is dedicated to the memory of her father. Visit Ana Gracey’s channel on YouTube to view her latest video releases.